Case management facilities are designed to help application developers create applications that support multi-level case relationships among work items. Case type dependency relationships control automatic case instantiation. The case types must belong to the same top-level case type, and should not have parent/child covering relationships (to avoid the possibility of a deadlock). In the example below, a Mail Order case cannot be automatically instantiated until an Inspect case type is complete, and also until an Account Update case type has the status Payment-Recieved. See When and how to use instantiation dependencies. Use a Dependency-type assignment shape in the dependent case's process so that the case waits in the owner's workbasket until another case type instance reaches a specified work status. When this occurs, the system automatically completes the dependent assignment. and advances the process. 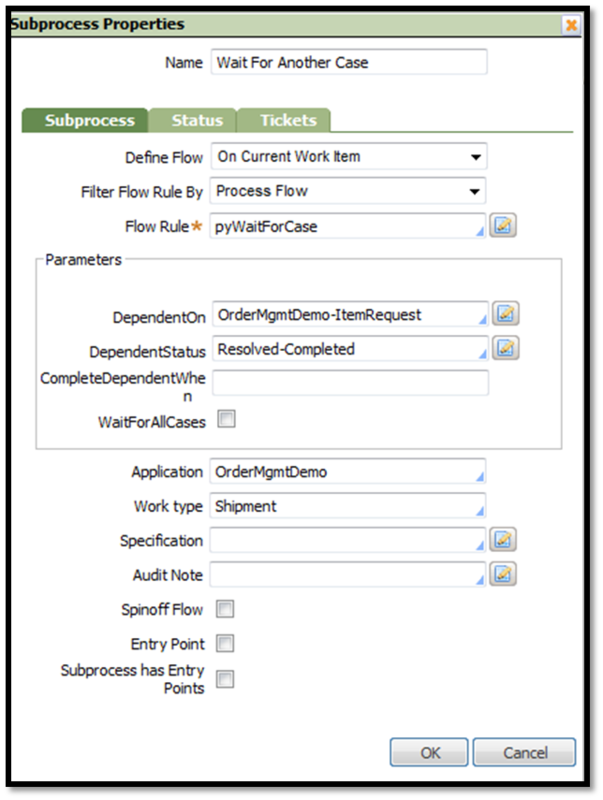 See When and how to use mid-process dependencies. You can a circumstance-qualify a case type rule using a single property type. Referred to as specialized case types, they are useful in situations where a case has a process that requires variations in order to meet special business requirements. 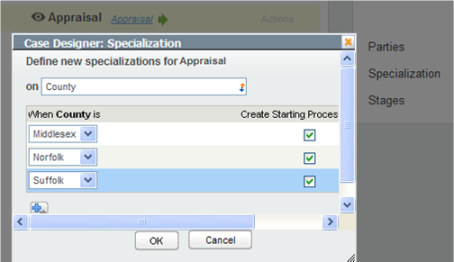 See When and how to use case specialization. You can group work item status values into stages. If you have defined stages, you can include a chevron display identifying the current stage (and past and future stages) in the Perform harness. See How to use stages to present the chevron view of work item status. 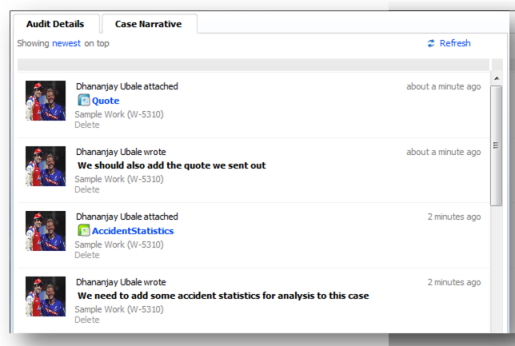 Users can add a text tag to an open or resolved case, and then access cases that have a specific tag. 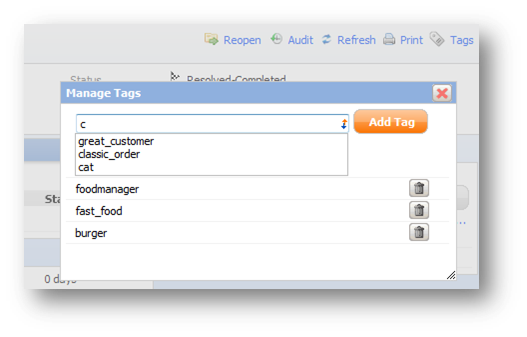 While developers can "prime" the set of tag values with a suggested or starter values (per application), users may create others as needed. This feature allows workers to label and group work and retrieve it later in ways that were not anticipated by developers. For example a tag Hurricane_Irene might be used to mark insurance claims that require special attention or processing. An alternate presentation of the audit trail tab, the Case Narrative display presents work item history in a format that resembles a series of RSS feed notifications, with the newest history updates at the top of the display. New in SP2, the Case Worker portal complements the Case Manager portal introduced with 6.2 SP1. The Case Worker portal provide a subset of the Case Manager portal facilities, omitting the My Events and My Reports facilities. These two portals are recommended as a best practice for new applications. Your application can use the standard versions or copy and adapt or extend them.